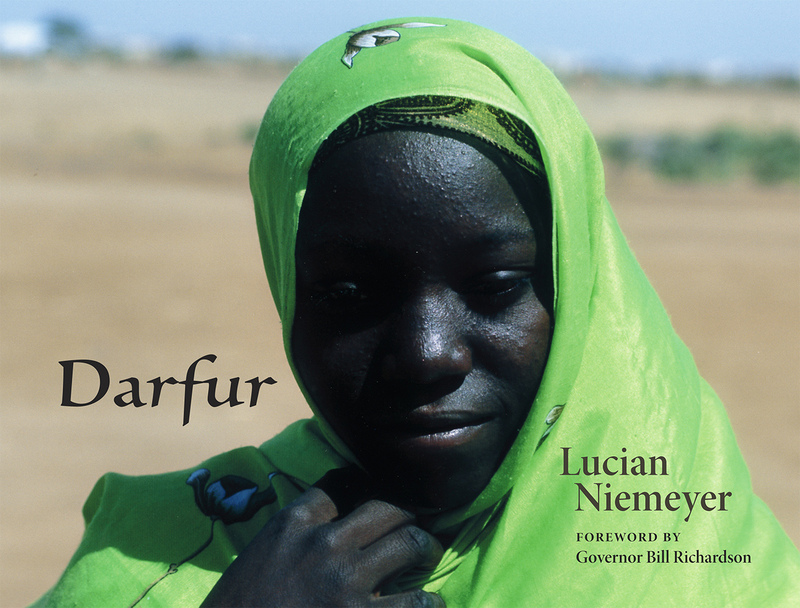 Darfur, located in westernmost Sudan, is that nation's largest region, situated on the border with Chad. For centuries, northern Sudan has been predominantly Arab Muslim and the south, black African. Ruled as a colonial state by, primarily, Egypt and Britain, Sudan was granted independence in 1956 with Khartoum, in the northern Arab Muslim territory, as its seat of power. In 1983, the Sudanese government announced that all of Sudan would officially be a Muslim country. The "sharia," the Muslim code of laws, became the rule: those not Muslim are deemed unclean and infidels. Southern Sudan began resisting the genocide waged by the Muslim north. This resistance led to the 1992 announcement of a holy jihad by the Sudanese government, leading to today's humanitarian crisis in Darfur. Lucian Niemeyer is a professional photographer who operates out of Santa Fe. He has traveled the world, photographing human and environmental conditions. He is author and photographer of numerous books including Chesapeake Country, Okefenokee, and Old Order Amish.